One’s belief in the Book of Mormon should be solidly grounded on a spiritual witness obtained by personal study and prayer. I have a personal witness of the truthfulness of this book and admonish others to seek the same witness. Once I gained a testimony of its divine authenticity, I found myself fascinated with the prospect of finding and visiting the lands of the Nephites which led me to researchers who have compiled insights from the man who talked with the Nephite Prophet Moroni face to face. Joseph Smith has done many things to enlighten the understanding of men throughout the restoration of the gospel. In regards to the geography of the Book of Mormon, he has left us his testimony. The following are quotes from Joseph Smith (and a few others) that shed much light on the subject. I’ve highlighted in bold the particular parts of these statements that recount geography. 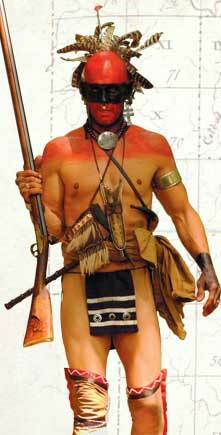 NOTE: Indians refers to the Native Americans all around upstate New York. “I was also informed concerning the aboriginal inhabitants of this country, and shown who they were, and from whence they came; a brief sketch of their origin, progress, civilization, laws, governments, of their righteousness and iniquity, and the blessings of God being finally withdrawn from them as a people was made known unto me: I was also told where there was deposited some plates on which were engraven an abridgement [abridgment] of the records of the ancient prophets that had existed on this continent…. 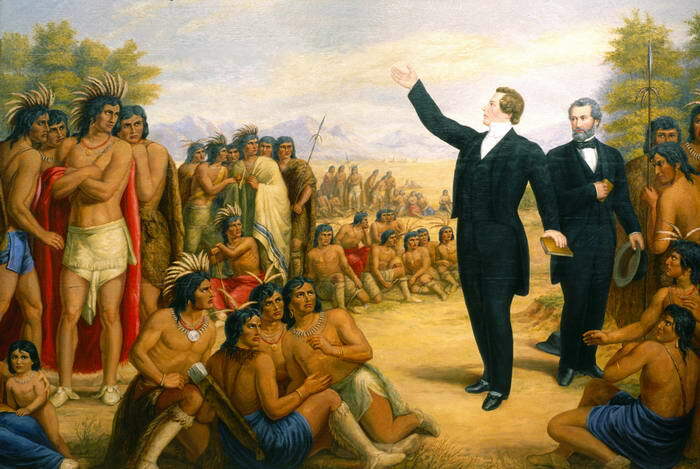 “The Book of Mormon is a record of the forefathers of our western tribes of Indians… By it, we learn that our western tribes of Indians, are descendants from that Joseph that was sold into Egypt, and that the land of America is a promised land unto them. NOTE: At the time, anything west of the Alegehny and appalacian mountains was part of the West. LETTER PENNED BY JOSEPH SMITH TO EMMA DURRING ZION’S CAMP MARCH WHICH TRAVELED FROM EASTERN OHIO THROUGH ILLINOIS TO MISOURI. JUNE 4, 1834. “During our travels we visited several of the mounds which had been thrown up by the ancient inhabitants of this country-Nephites, Lamanites, etc., and this morning I went up on a high mound, near the river, accompanied by the brethren. From this mound we could overlook the tops of the trees and view the prairie on each side of the river as far as our vision could extend, and the scenery was truly delightful. NOTE: The “Zelph” mound was excavated recently and carbon dated to 385 AD. These statements from Joseph Smith clearly state where the Nephite lands are. 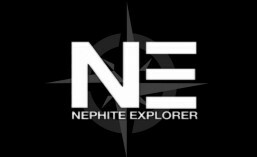 Not only what continent, but what Country, and even which states within the United States are Nephite Lands along with specific tribes who are Lamanite descendants. Joseph even digs up the grave of a fallen rightous Lamanite warrior and receives revelation about his name, when and how he died. And if that isn’t enough the Lord reveals to Joseph Smith the location of Zarahemla, the capital of the Nephite nation, in the Doctrine and Covenants. Can it be any clearer or more specific? Hardly. Why some believe that the events of the Book of Mormon took place elsewhere is a topic for another discussion. One may interpret the revelation on Zarahemla in different ways, but when read in light of all that Joseph Smith left us, the simplest understanding makes perfect sense. All I hope to accomplish with this post is to draw attention to these precious statements and add these enlightenments to the long list of revelations from the prophet Joseph Smith. Please share your views on these statements by adding comments below. This entry was posted in Why North America?. Bookmark the permalink. ← The hill Cumorah continues to yield ancient artifacts. Refreshing . . . thank you! The prophet Joseph Smith was no ordinary man or prophet for that matter. He did and said as the Lord commanded him with courage, integrity, and confidence. He wasn’t concerned about being politically correct . . . he was concerned about not offending our Father in Heaven . . . as all of us should be. Yeah, all good points. You know what else I love about him, he wasn’t perfect. He made mistakes, was chastised by the Lord and failed at several endeavors. And still he accomplished so much in moving the cause of Christ forward for all mankind. Some use his imperfections to show he wasn’t a prophet, I see his imperfections as a great source of inspiration that the Lord is merciful and through him we can overcome our own imperfections and accomplish great things. Thanks for the comment. Well said. Thank you for this commentary. Very enlightening and inspiring. These are compelling arguments. I guess I have three facts that lead me to support the Central America theory: first, that Central America is part of the North American continent, so technically some of the statements include this fact. Second, the Book of Mormon largely records the Nephite events from the perspective of the capital Zarahemla and the political borders making up the national boundaries, but its clear the Nephite spread out much farther, such as with the journeyings of Hagoth’s group which by description could have settled in the fertile areas in California, and possibly throughout the continent during the golden age of Nephite history proceeding the visit of the Savior. In any case, we can enter into a friendly agreement to disagree until the Lord one day opens up all coffers of knowledge revealing even secret things from the housetops!